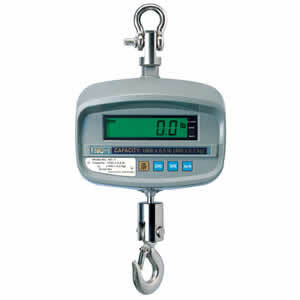 NC-1 Series is a low cost crane scale certified by NTEP with three different capacities available. It weighs in pounds or kilograms and includes a wireless remote for ease of operation. Cast aluminum enclosure is weatherproof to withstand light rain. Low price tag on an NTEP crane scale is the ultimate reason the NC-1 is such a popular item. 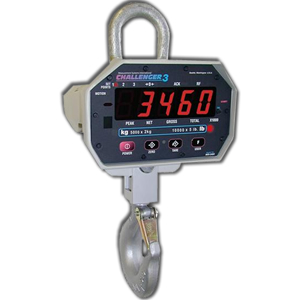 Challenger 3 crane scales provide a portable easy to use legal for trade scale for overhead material weighing. Use in recycling or any other light industrial applications. Optional accessories include remote control or auxiliary display. Copyright 2019 Phantom Scales LLC. All Rights Reserved.